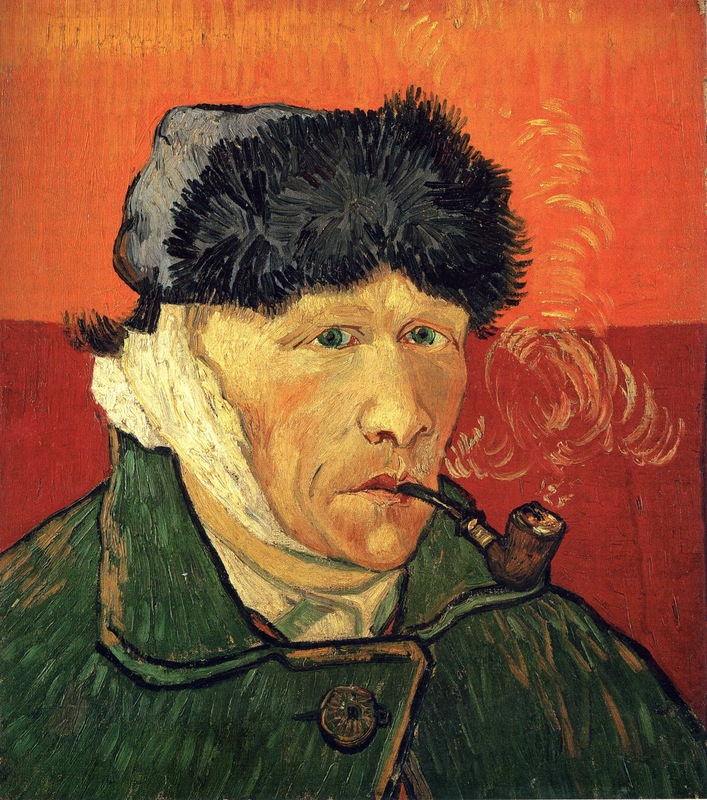 Vincent van Gogh (Dutch, 1853-1890): Self-Portrait with Bandaged Ear, 1889. Created in Arles, France. Oil on canvas, 51 x 45 cm. Private Collection. Then again, he might not have cut off most of his left ear. 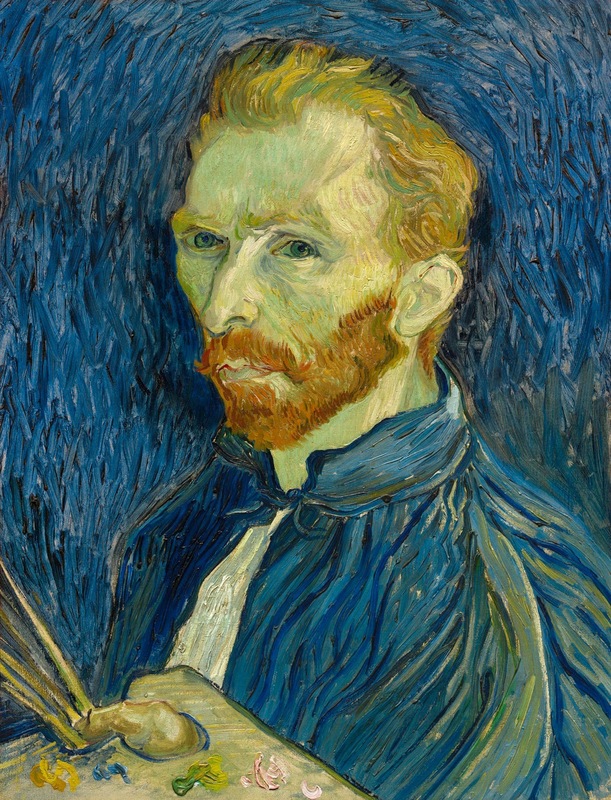 So say two German art historians, Hans Kaufmann and Rita Wildegans,* who argue that Paul Gauguin, not Vincent, sliced off most of van Gogh’s ear with a rapier, either in anger or self-defense, perhaps accidentally, in a heated disagreement. Speculation supporting the official tale of Vincent slicing off most of the ear in a fit of madness and then presenting it to a prostitute, is as debatable as the version of Gauguin doing the deed. Whatever the facts of the tragic event on the night of December 23, 1888, nine wondrous weeks ended of two masters producing works of art that proved pivotal in the course of the development of modern art. * “Van Goghs Ohr: Paul Gauguin und der Pakt des Schweigens ” (Van Gogh’s Ear: Paul Gauguin and the Pact of Silence) by Hans Kaufmann and Rita Wildegans, Osburg, 2008. 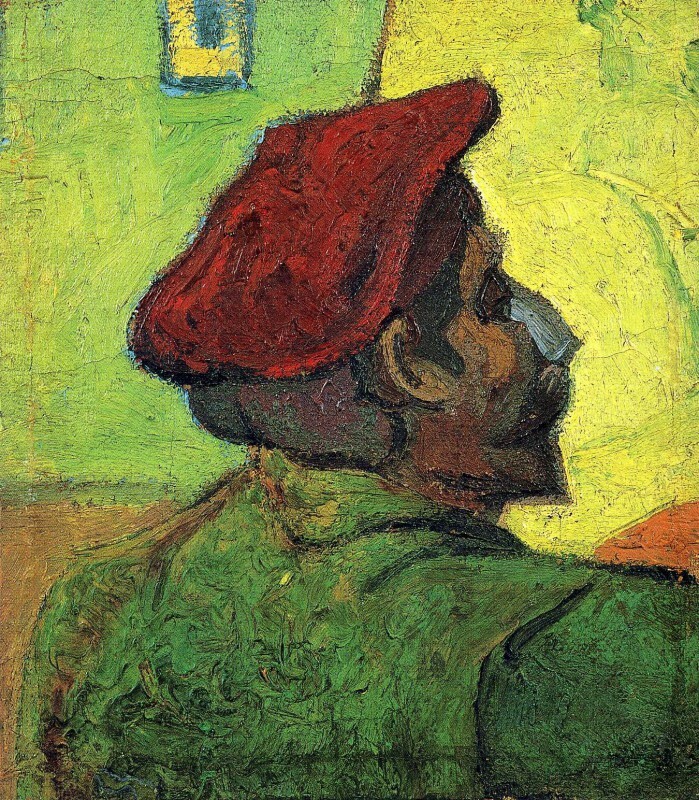 Vincent van Gogh (Dutch, 1853-1890): Paul Gauguin (Man in a Red Beret), 1888. Oil on canvas, 37 x 33 cm. Van Gogh Museum, Amsterdam, Netherlands. 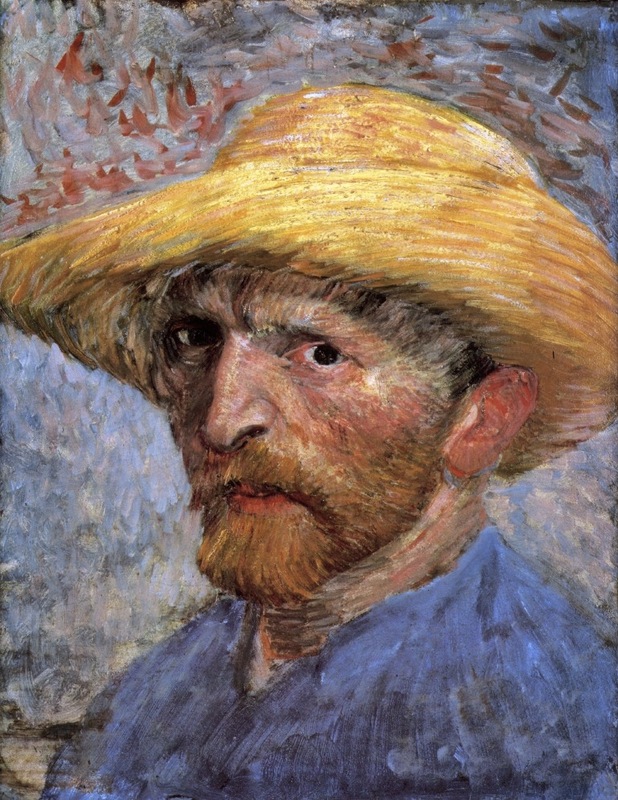 Vincent van Gogh (Dutch, 1853-1890): Self-Portrait with Straw Hat, Summer 1887. Oil on artist board, mounted to wood panel; 34.9 × 26.7 cm (13-3/4 x 10-1/2 inches). Detroit Institute of Arts, Michigan, USA. 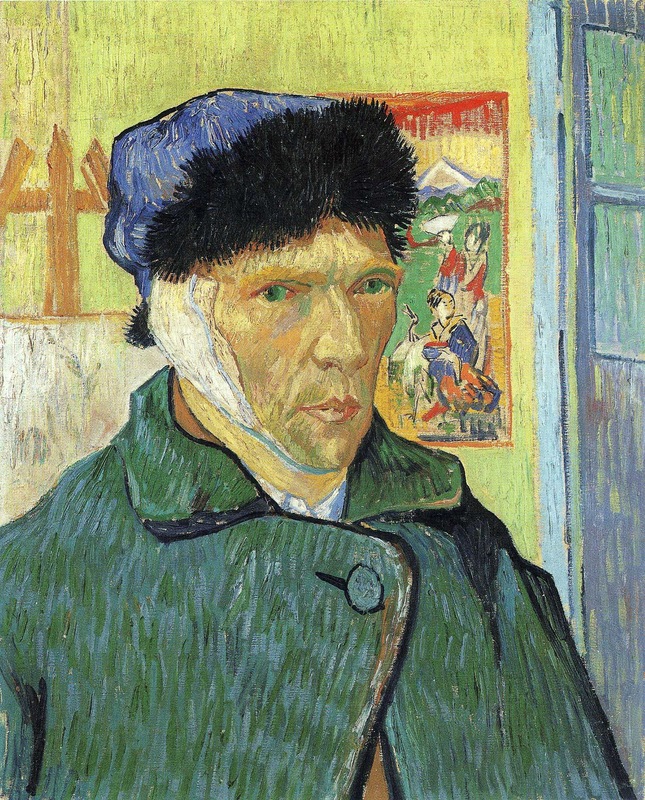 Vincent van Gogh (Dutch, 1853-1890): Self-Portrait with Bandaged Ear, 1889. Oil on canvas, 60.5 x 50 cm. The Courtauld Gallery, London, UK. 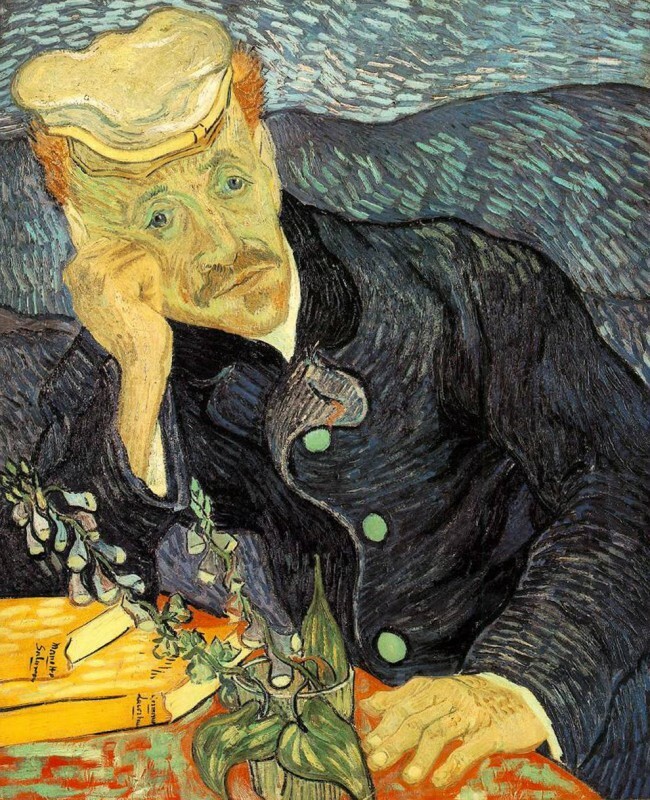 Vincent van Gogh (Dutch, 1853-1890): Portrait of Doctor Paul Gachet, 1890. Auvers-sur-oise, France. Oil on canvas, 67 x 56 cm (26.4 x 22 inches). Private Collection.